Tour "In the Heart of the Italian Colture: A Fantastic Journey to Discover the Treasures of Rome and Etruria"
We recommend this tour if you desire an intense and authentic overview of the area spanning from Rome to Orvieto, in the fascinating territory of the ancient Etruscans. In addition to visiting the main sites and monuments of this area, you will enjoy full immersion in local traditions and get to know some of the native locals while experiencing the pleasures of tasting wine under the tutelage of a sommelier and attending a didactic cooking experience creating typical traditional local dishes. This morning, after breakfast, we’ll start by visiting the ancient town of Orte, the Etruscan Horta, located on a high plateau at a bend of the Tiber River. A local guide will lead us underground on an exploration of the matrix of passages and rooms excavated by hand in the soft volcanic rock from the Etruscan period and through the centuries until as recently as the 1900s. After lunch at our favorite restaurant in the historic center of the town, we’ll visit Vasanello, another nearby town of Etruscan origin with medieval and renaissance period buildings – while there we’ll visit the ancient Orsini Castle. We will than continue our explorations with walks and gelato break in the hilltowns of Vallerano and Soriano. We will conclude the day taking part in a cooking class by our cook and we will have dinner at home. Today, on the way to Civita di Bagnoregio we will pass by the spectacular town of Vitorchiano, whose medieval center lies on a cliff of volcanic rock, fractured in massive boulders, above two converging creeks. We will reach Civita di Bagnoregio, a hilltown that became separated from the main land due to centuries of erosion at its perimeter, and is now only reachable by a pedestrian bridge. 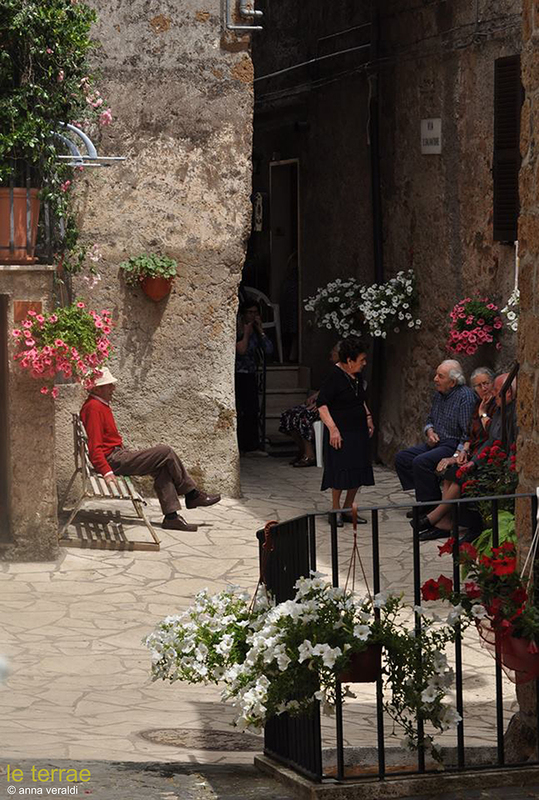 Its isolation has preserved the town from modern development, and walking through Civita is like stepping back in time. 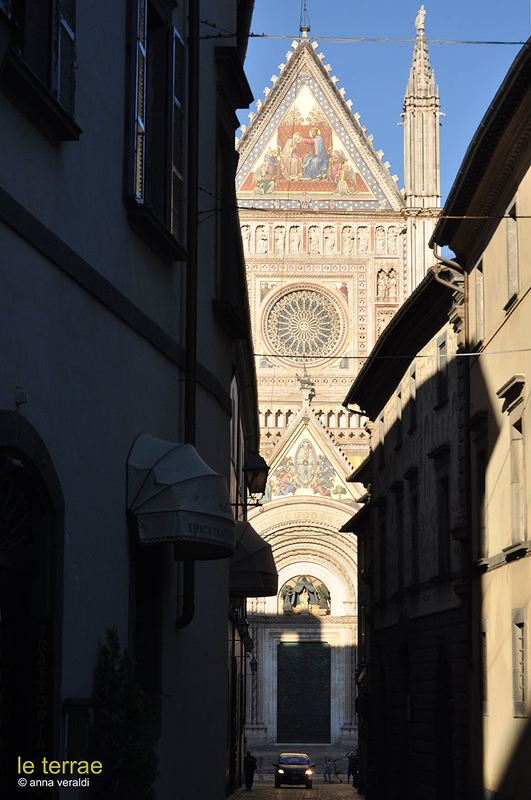 We will continue our journey heading towards the magnificent Orvieto and here, after a break for lunch and didactic wine tasting of the town’s famous wine with a professional sommelier, we will follow our guide in a visit to the impressive and beautiful cathedral, which is one of the most important examples of Italian gothic architecture. The rest of the afternoon will be free to explore the city, its exquisite shops, or the famous water well by the architect Sangallo the Younger. Upon returning home in Orte we will have dinner in a local restaurant. We will begin the day with a transfer to Rome where during the morning we will visit, together with our guide Daniela, the extraordinary archaeological area of the Roman Forum. We will follow the Via Sacra (Sacred Way) and after a short walk by the ruins of imposing buildings we will ascend to the Capitoline Hill. In Roman times the Capitolium was the area where the most important temple, the one dedicated to the three main gods, Jupiter, Juno and Minerva (the Capitoline Triad), once stood. Today the hill is dominated by the fantastic piazza designed by Michelangelo. 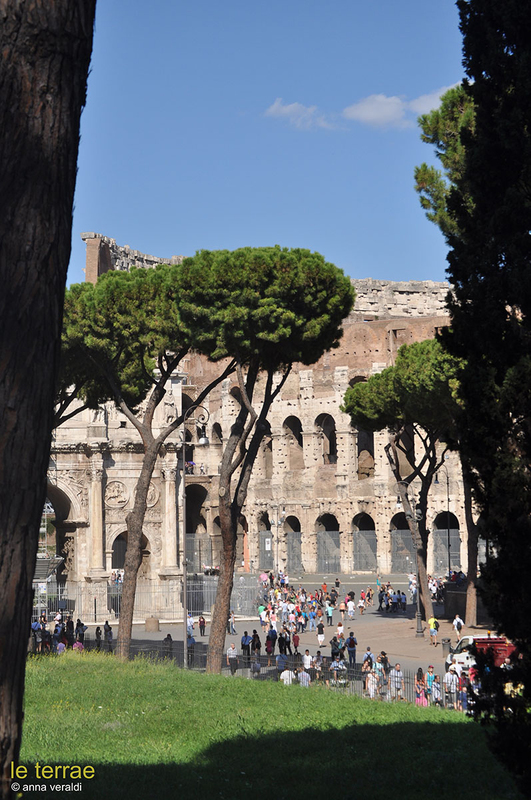 We will lunch at a traditional Roman trattoria and the afternoon will be free to visit the Colosseum, the fantastic Roman squares or for shopping. After this intense day we will return back home to the villa where a nice dinner will be waiting for us. Right after breakfast we will leave for the famous Etruscan necropolises of Tarquinia, Unesco world heritage site, where the extraordinary tomb paintings bring to light the values of a great civilization and help shed some light on the mysterious and still little known life of the Etruscans. 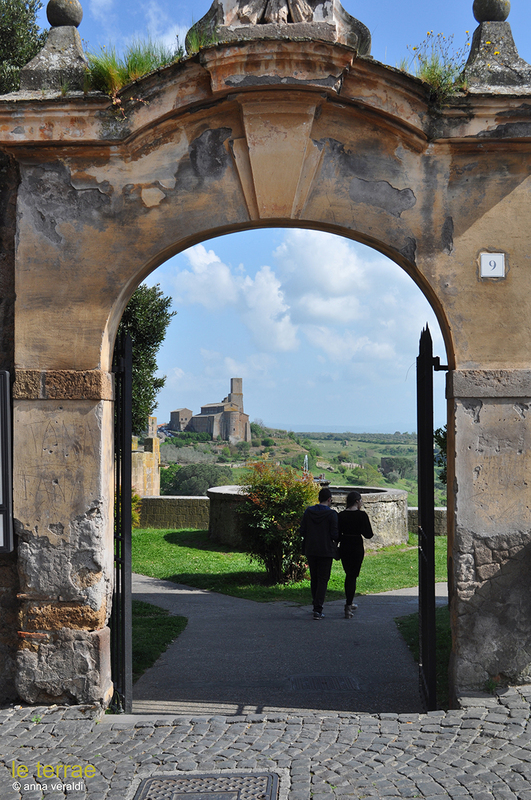 We will then reach the beautiful hilltown of Tuscania and we will have lunch at a local restaurant. Our explorations continue with a visit to some of the thermal springs in the area around Viterbo. Used and enjoyed by the Etruscans and the Romans,and with our guide we will walk through the medieval quarter San Pellegrino. The unique typologies of the buildings in the old town include house‐towers, arches and external staircases and the Palazzo dei Papi (Popes Palace) with its beautiful Gothic loggia.We will end the evening with dinner at a local restaurant. Back to Rome, once more, we will admire the great marble colonnade by Bernini that embraces St. Peter’s square and leads to the greatest basilica in history. 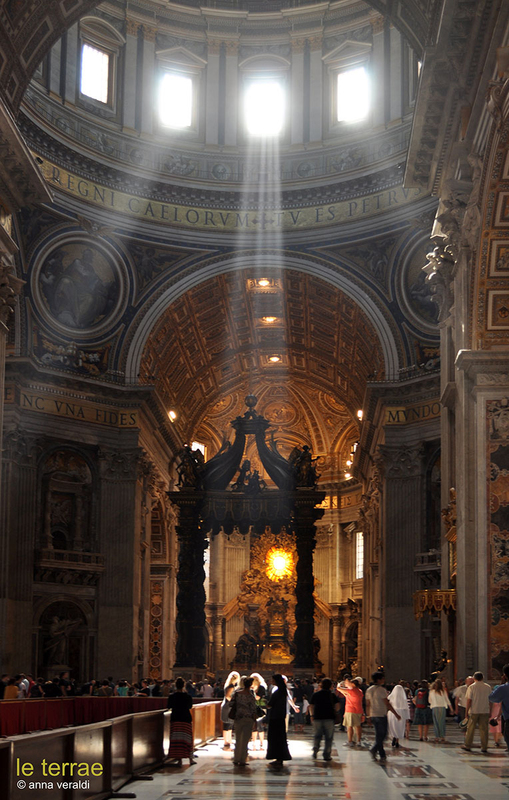 Inside the basilica of St. Peter we will see, among other masterpieces, the poignant Pietà by Michelangelo and the great altar canopy by Borromini, built with the bronze tiles that once had covered the Pantheon dome. After lunch in trattoria in the Vatican quarter, the afternoon will be free to visit the nearby Castel Sant’Angelo (Saint Angel Castle), a building with a long history of transformations that spans almost 2000 years, or the Vatican Museums with the Sistine Chapel, or to simply take a walk in the historic center to do some shopping and take a break at one of the cafés in the fantastic squares of Piazza Navona or Piazza del Pantheon. We will be back in Orte in time for dinner at the villa. The most famous Italian Renaissance Gardens are almost all located in this part of Italy, the Tuscia Viterbese. We’ll spend the day exploring Villa Lante in Bagnaia and Palazzo Farnese in Caprarola. We will experience the atmosphere of life in the suburban villas of the noble families of the time, with their extraordinary gardens, full of theatrical and playful effects to surprise and entertain the guests. Villa Lante in Bagnaia, designed by the architect Vignola for the Cardinal Gambara in the XVI century, represents the perfect example of the idea at the base of the Renaissance gardens. We will conclude our visit in Bagnaia at a gelateria on the main square. Next we will go to the hilltown of Caprarola where we will have lunch at a local restaurant famous for wild boar cooked with juniper berries and other local dishes. We will continue our afternoon exploration with the Palazzo Farnese and its garden, also from the Renaissance; the massive pentagonal building was built as a fortified summer residence for Cardinal Alessandro Farnese and its court. Some of the best architects and painters of the time worked on the building. At the end of the day, we’ll have a grand celebration dinner at the Aqueduct Villa.